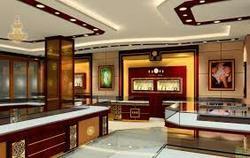 Corporate Interior Designing Service Providers, Contractors, Decorators in India. Service Description: Backed by a team of highly skilled and experienced designers, we are engaged in rendering Corporate Interior Designing Work that enhances the beauty and elegance of the corporate office interior. Customers have shown their trust on our firm for providing best Corporate Interior Decoration. This decorating service is much satisfying. Professionals use best material for giving perfect look to the place. We work as per specific needs of precious patrons. Our team consists of expertise with proven skills to deliver solutions for a wide range of commercial projects such as refurbishments and new build of bars & nightclubs, beauty salons, retail shops, care and nursing homes, service stations, football pitches, office developments and industrial development. Aktis Websolutions create fresh innovative designs that deliver effective memorable solutions, transforming the way your organisation or products are perceived. We are a committed Architect Group. We work for creating quality total environments which are motivational as well as environmentally conscious. We commit ourselves for delivering integrated package of professional services. We completely focus on our Clients requirements. 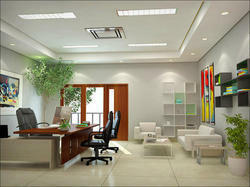 Our company has earned accolades in providing Office Interior Designing Service.